Spanning two states and twenty-plus members, the Wild Cards are one of the first Japanese-style zoku rengo, or alliances, in the United States. 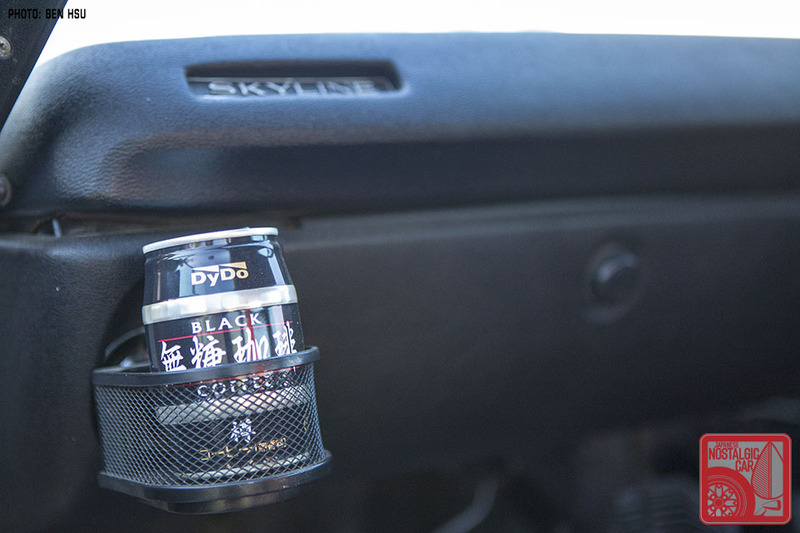 With inspiration from Nihon customization styles like bosozoku and kaido racers, many of the Wild Cards cars are the dream machines at the forefront of the stateside kyuusha tuning movement. 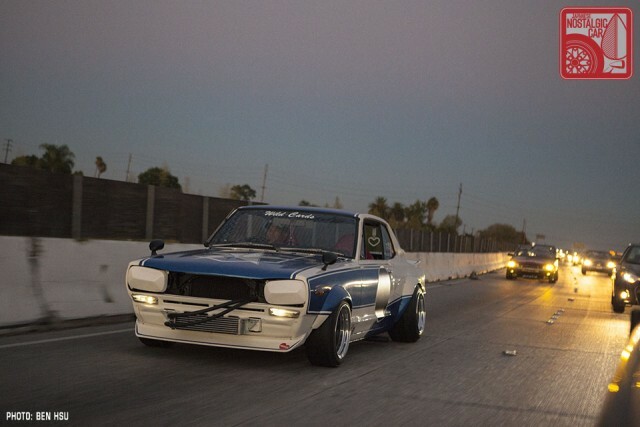 We recently took a ride with the Wild Cards’ Las Vegas contingent and their modified Skylines. The Wild Cards have their origins in what was a loose collective of southern California kyuusha owners with the tongue-in-cheek name of FaakIt Garage. 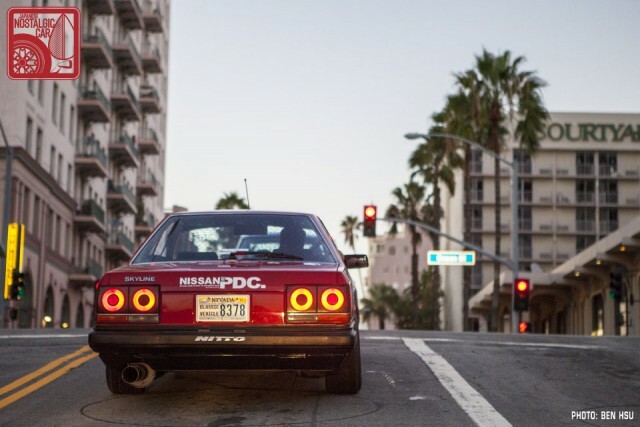 Most owned Skylines, but not all (JNC‘s own Matt De Mangos is a member), and found a common bond borne from the trials of owning a car with little to no parts support outside of Japan. 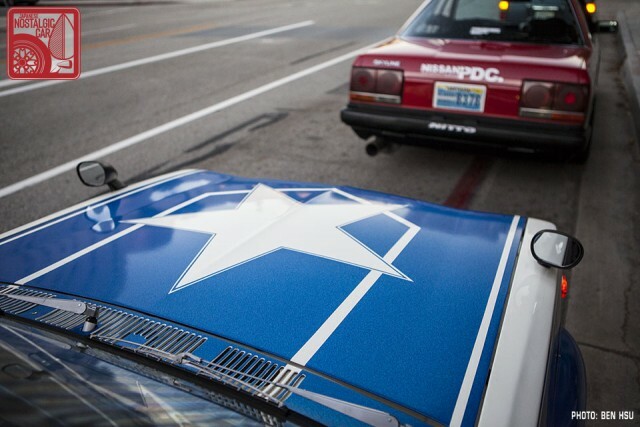 Like the rengo that formed across Tokyo and Chiba during the height of bosozoku activity in Japan, the Wild Cards were officially established in 2014 when Mikey Castillo, owner of the 4-door Hako that was the JNC booth car of JCCS 2011, reached out to Las Vegas resident Roy de Guzman, owner of the white Skyline Hardtop we profiled back in 2008. 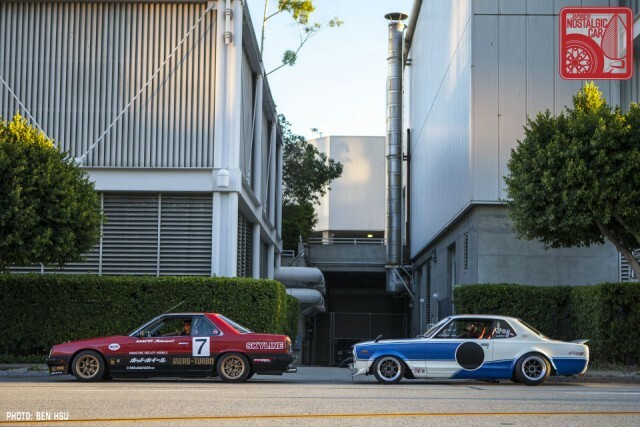 The resulting interstate alliance is a team of like-minded car guys who appreciate not only Japanese classics, but building them in accordance with old school Japanese tuning styles and looks. 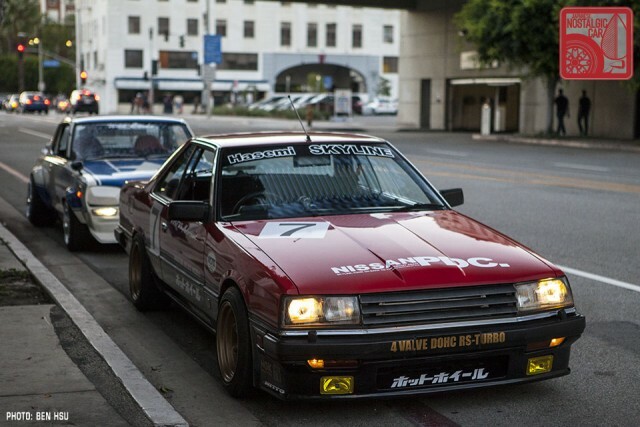 As described by de Guzman, the typical Wild Cards car is a good, clean Japanese classic with zokusha and kaido racer style. Clearly though, they take their steeds very seriously. Despite their light-hearted attitudes the cars are impeccably built. In fact, they’re a seriously formidable team of top-notch Japanese classics that makes those unfamiliar with Nihon steel cower in fear of the unknown upon approach, while those in the know drool with envy. That was the scene as we cruised with Roy and Jay through a very crowded area of Long Beach just around the time weekenders were settling in for a nice outdoor cafe dinner. Fillets of Chilean sea bass quivered like Jell-O as a side-dump straight-six and turbo twin-cam four sang a duet of raw mechanical power. Dads in pastel polos swiveled their heads in awe even as they drew their offspring closer, and younger onlookers whipped out their camera phones reflexively. Conclusion: It is basically impossible not to draw attention when driving around in a pair of Skylines. Roy de Guzman and Jay Kho behave as if they’re long-time childhood friends, but in fact they met only a few years ago on the JNC forums. Jay had just taken possession of his DR30 and needed help from a fellow Skyline owner. Responding to Jay’s plea “turned out to be one of the biggest mistakes of my life,” jokes Roy. 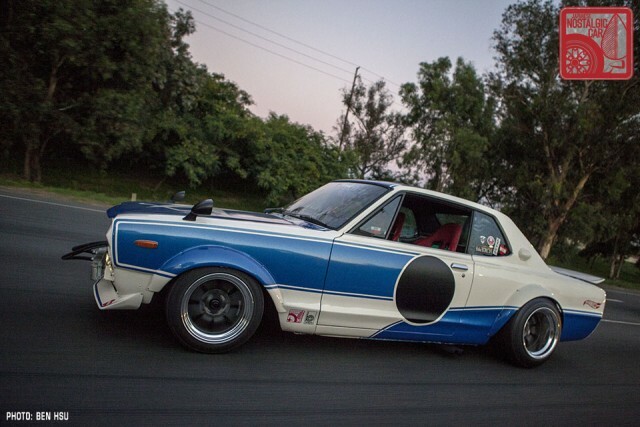 Back in 2010, Jay had answered a craigslist ad for a 1983 Skyline. 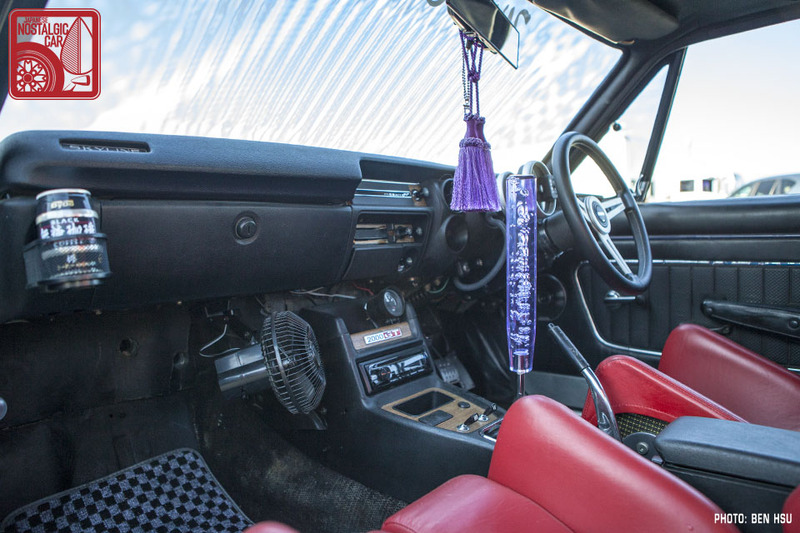 The seller, a serviceman who had brought the car back from Okinawa specifically to resell, said in the ad he was open to trades, so Jay threw him the keys to his resto-modded 1966 Mustang. “I felt it was time for the Mustang to move on,” Jay explained. “I knew I was probably getting the short end of the stick, but I can always find another Mustang.” The DR30, on the other hand, would be a bit harder. 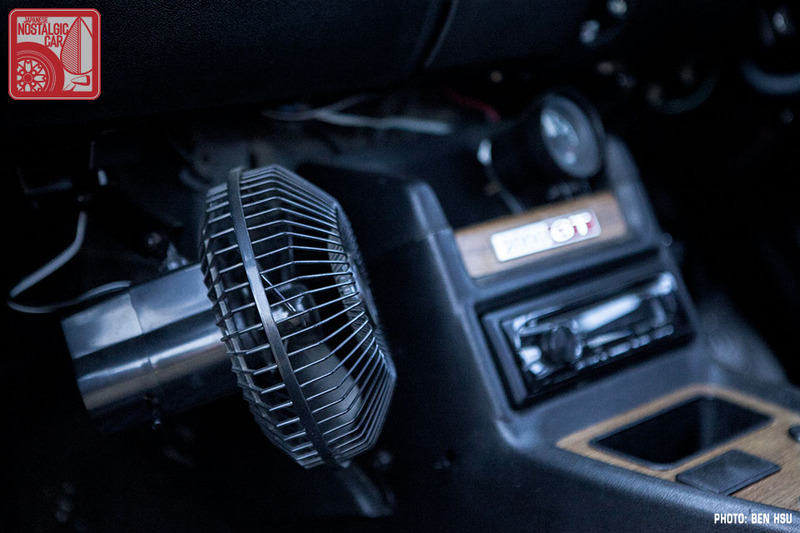 It’s a rare zenki (pre-facelift) turbocharged model, built for only a brief six-month period from February to August of 1983. 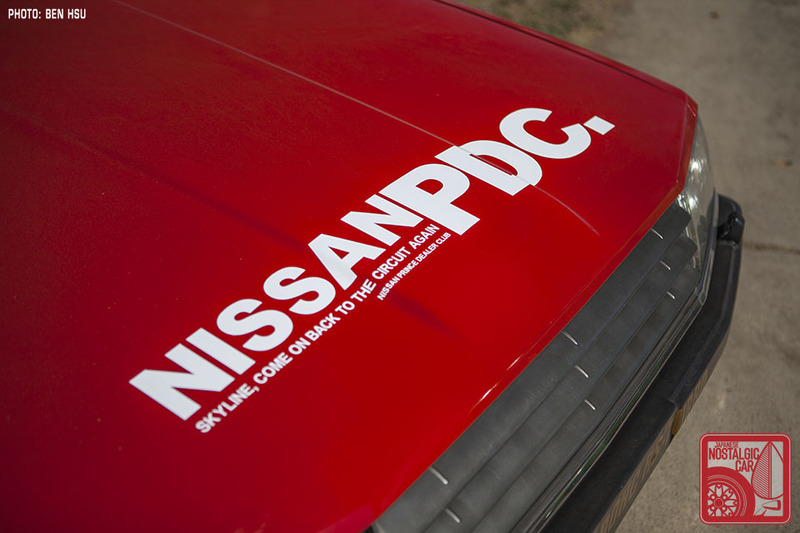 Nissan introduced the the turbocharged, intercooled DR30 Skylines only six months before the switch from the Newman (named after actor Paul Newman who starred in several of its commercials) to the faceliftedtekamen (iron mask) front end. 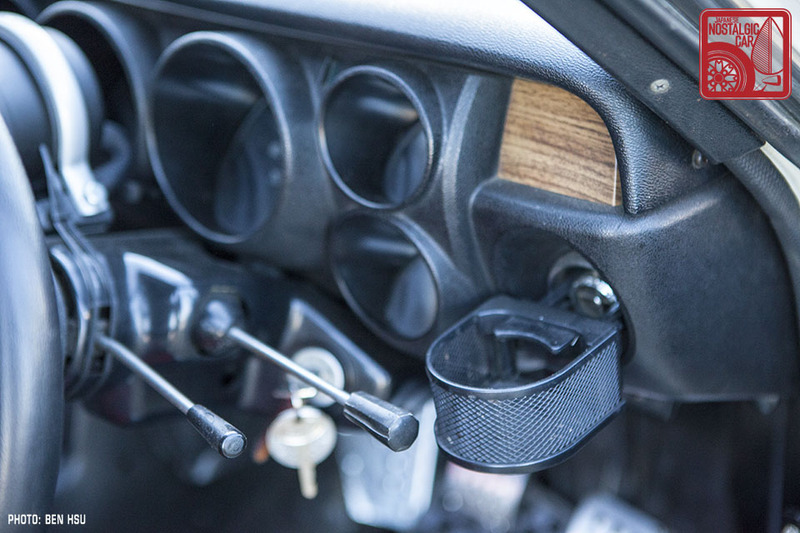 Unfortunately, what was originally thought to be a fuel pump issue turned out to be an electrical nightmare that led to the jettisoning of the R30’s factory FJ20ET. 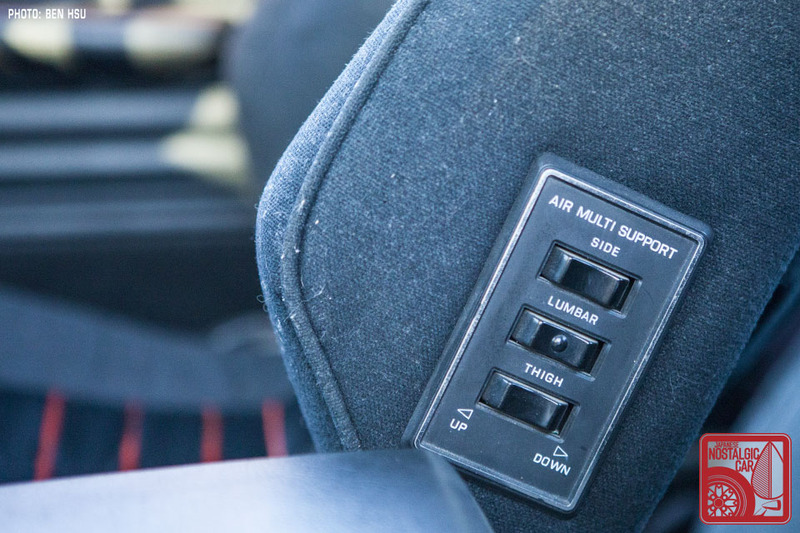 To replace it — and to keep true to the “4-valve DOHC RS Turbo” factory decal proudly emblazoned on the Skyline’s flanks — Jay sourced a built SR20DET running 12 psi of boost, which he finally got running after two years of headaches. 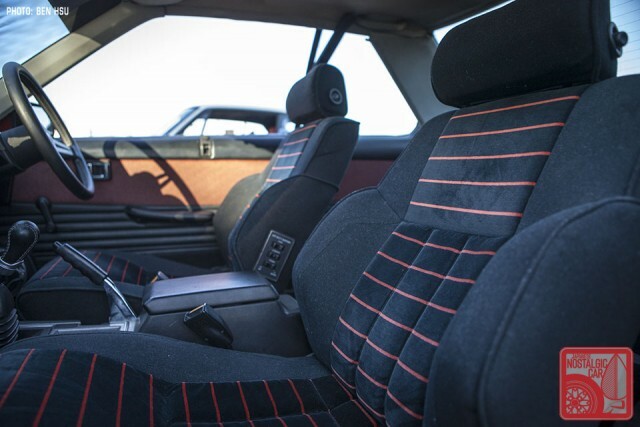 With Roy’s help, Jay was able to source all the little bits of missing trim and outfit the car with coilovers, 15×8.5 -6 RS-Watanabes all around, a custom-fitted 5-Zigen exhaust and a Blitz Stage 1 clutch. For last year’s JCCS, we selected Jay’s DR30 to be our official booth car. 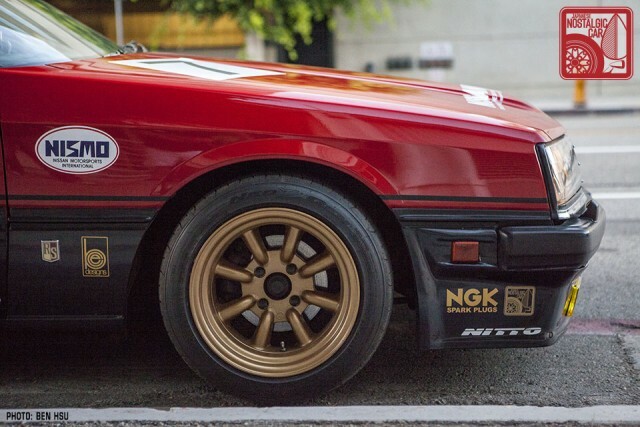 As a tribute to the most famous DR30 race car of all time, one that inspired a generation of kaido racers, the car was decked out in the livery of Nissan’s Group 5 Super Silhouette Skyline. Of course, since Hot Wheels designer Jun Imai would be signing autographs at our booth, we had to replace the prominent logo of a competing minicar maker with the katakana spelling of “Hot Wheels.” The result, we think, worked out quite well. 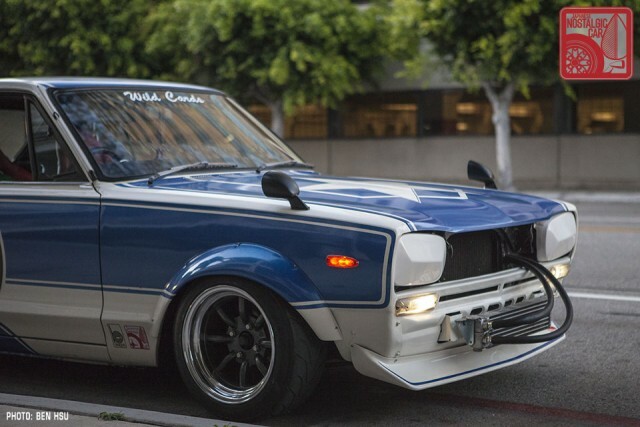 We met Roy de Guzman in 2008 after falling in love with his gleaming white 1972 Skyline 2000GT H/T. 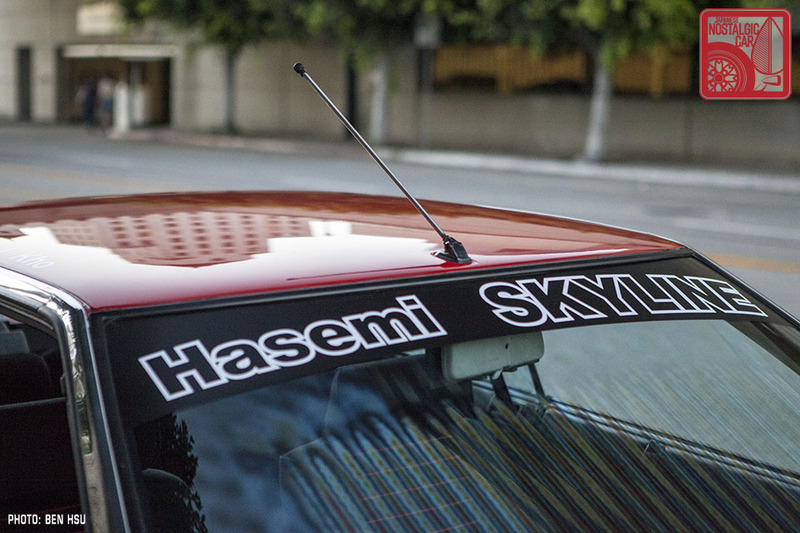 At the time, there were still only a handful of hakosuka Skylines in the states, and Roy was among the first Americans to own one. 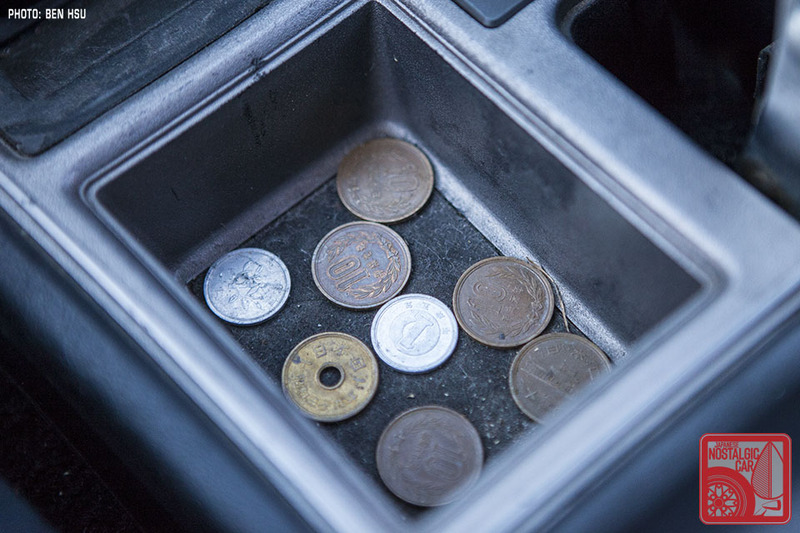 He had owned a laundry list of 90s JDM dream cars, including an S14 Silvia, R33 GTS-t, and A80 Supra while stationed in Japan as a US Air Force weapons instructor. Like many at the time, he had assumed that the R32 GT-R was the origin of the species. 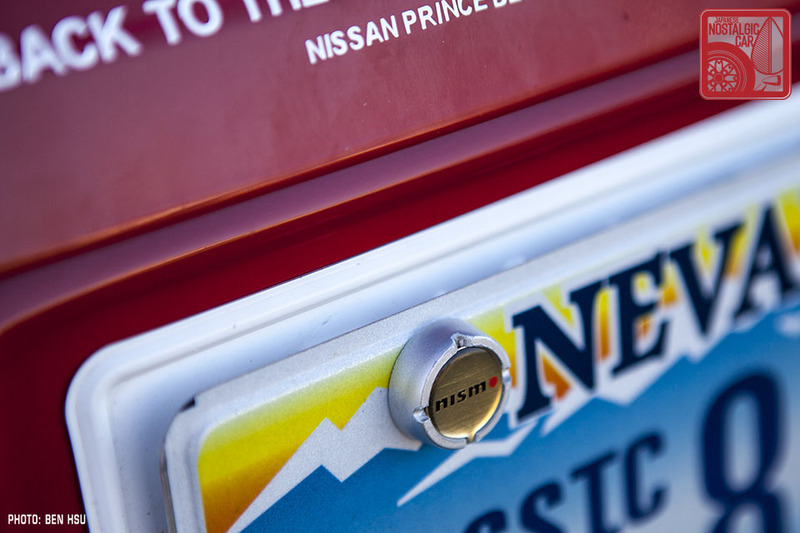 It wasn’t until a trip to the annual NISMO Festival revealed that the mighty Nissan flagship dated back some 20 additional years. Roy knew he had to own one, and soon found himself responding to an ad that took him to the very rural outskirts of Tokyo, near Mt Haruna, the real-life locale of what was called Mt Akina in Initial D. After striking a deal with some pompadoured gentlemen of, shall we say, non-traditional employment, the car was his. 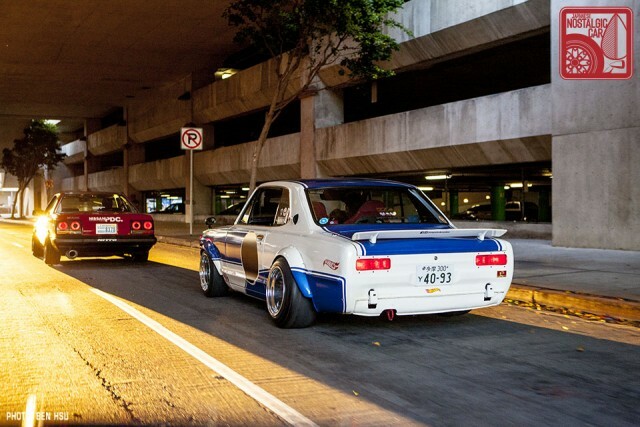 At the time, very few Westerners cared about pre-R32 Skylines. A 2007 issue of Import Tuner featuring the cars of Japan-stationed military men barely acknowledged the car. Roy knew he had something special, though, and chose it as the one car to bring back to the US with him. In the eight years since our feature, Roy’s car has gone through significant changes. At last year’s JCCS, it debuted with a new graphic scheme inspired by bosozoku design and the 1972 Tokyo Motor Show kenmeri GT-R. Since the car was going to look like a real-life Hot Wheels, Roy added on the diecast car brand’s logo exactly where it would be on a scale model. Then he slapped on some ultra-rare Series One JNC inkans that have been out of production since 2007 or so. It was a last minute decision, something thrown together after Jay’s livery had been worked out and perhaps one too many beers imbibed. Combined with the slanted headlight covers, grille delete and a giant external oil cooler, however, the car demands attention. Its menacing appearance is backed, too, by the sharp bark of an L28 lined with triple 40mm Solexes and a custom double-barrel exhaust that empties its hydrocarbons just fore of the left rear wheel. It was one of the standout cars from last year’s JCCS, and even prompted someone to build a custom Hot Wheels of a real car inspired by Hot Wheels. Bonded in friendship over a car that was never sold in the US, Roy and Jay now head up the Las Vegas faction of the Wild Cards. What does it take to become a member? “You have to cut off your left pinky and make a blood oath as you tie it off with a clean white cloth,” says Roy. Membership can’t be bought, traded, or given via hook up. Invitations to join are only extended through word of mouth. 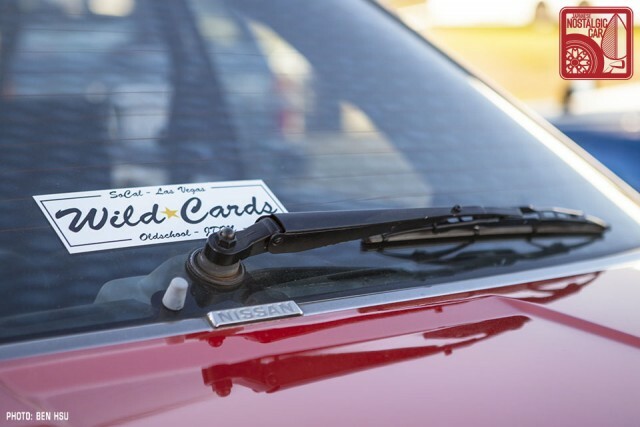 The Wild Cards want to keep the group small, and are not interested in showing up to car shows rolling deep or winning any Best Car Club trophies. 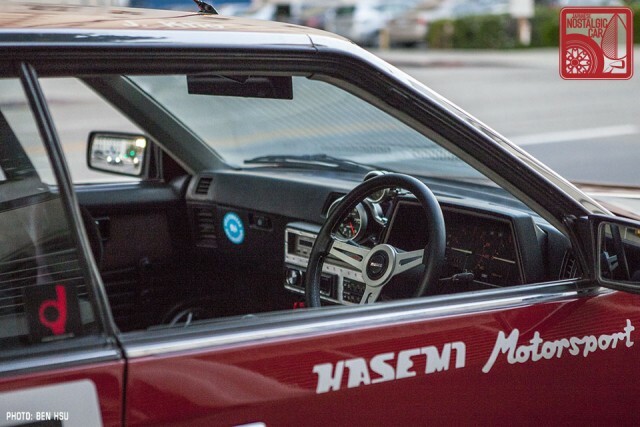 What they want are individuals with a passion for nostalgic cars and the culture of old school Japanese tuning. It should come as no surprise, then, that the Wild Cards’ newest inductee is none other than Jun Imai himself. 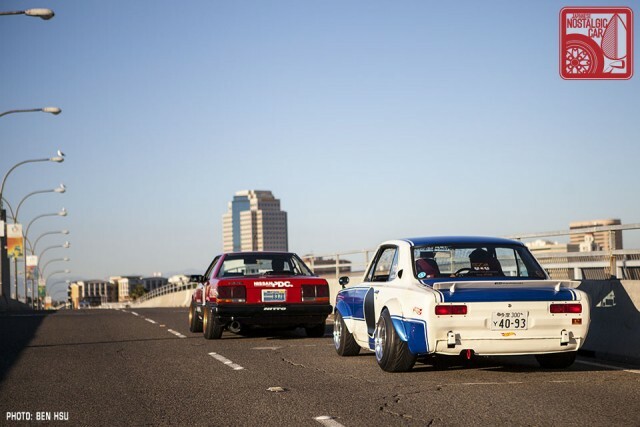 tagged: c10, Hakosuka, nissan, r30, skyline, Wild Cards. SR in, FJ out – very unfortunate. You aint gotta lie to kick it. both 2.0, 4 cyl turbo, except one has modern day tech, is reliable and huge oem/aftermarket support. i’d say the choice was solid. Great read. Very well written. They sound like a ball of laughs. Insanely jealous of their brilliant machines as well…still wiping the drool off my desk. Congratulations Roy and Jay! Awesome cars and a cool article to suit! Seeing these out on the road would definitely make my day. My R30 had an L20, so I don’t have experience with FJs, but the few people I know that had them grayed faster than Obama. 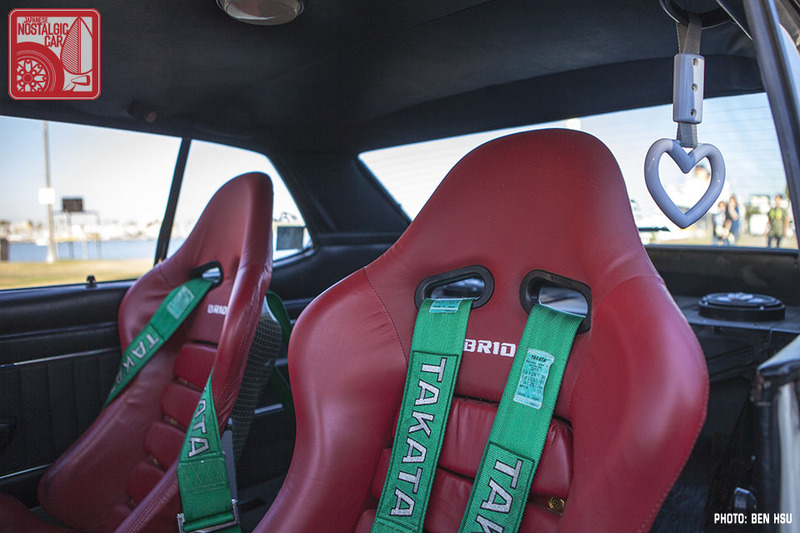 The SR20 seems like a good choice. Nice job capturing all the little touches. Wasn’t sure about the 1972 TMS GT-R connection. I know how I want my Chilean sea bass next time. It’s in the bottom right corner of one of the mosaics.